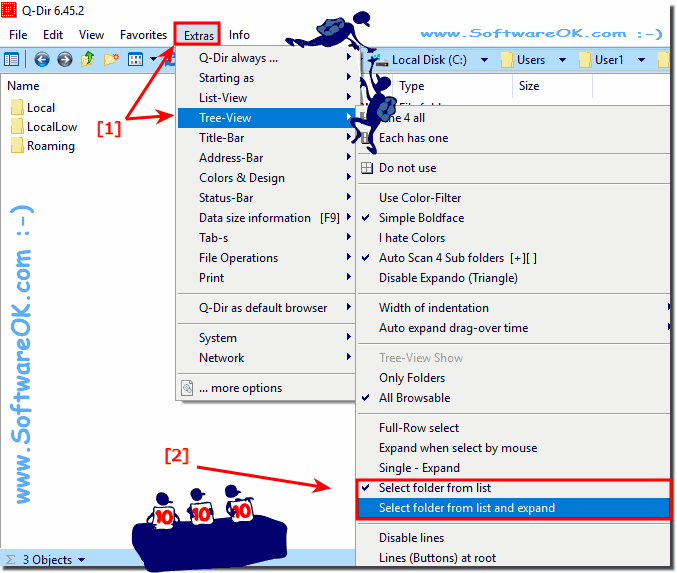 It is very simple to disable or enable Auto-Expand folder feature in Quad-Explorer Q-Dir ! See also: Address Bar rules in Q-Dir |&| disable all Colors Highlighting of files and folders ! Please ... use always the latest version of the File-Manager Q-Dir. (Image-1) Disable Auto-Expand of Folders in Tree-View! Q-DIR - FAQ-66: I would like to disable Auto-Expand of Folders!